Radio ads and announcements are often the jabber between songs, the necessary evils that help listeners keep their stations in business. Physical CDs have assumed a similar role in music. If sales are what a band’s spirit is worth in cold, hard cash, then lately, that answer has been: nothing. Animal Collective’s new album suggests that in these junctures, when listeners figure out how to support the bands they love, music changes as well. Ten odd albums in, Animal Collective are most often pegged as the keepers of an “experimental” niche of popular music. This isn’t what makes them special, though. Instead it’s how sensitive they can be as a group. They are tuned in with what it means to be perceived as existing at the vanguard of music production and the place of their fans within it. 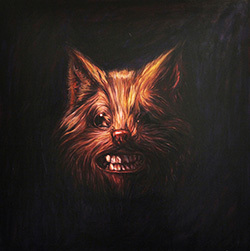 The band’s most recent work together is the visual album, ODDSAC. The piece screened in cities around the world. Director Danny Perez or the entire band attended every screening. Animal Collective’s recording process falls somewhere between that of purists like The Dirty Projectors, who work in long periods of self-imposed isolation, and The Strokes, whose lead singer emailed in his vocals for their last album. 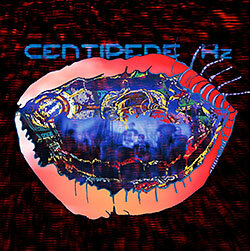 Centipede Hz (pronounced like the insect and the rent-a-car company) was constructed by more of a travelling circus, as all the members of Animal Collective wrote together in Baltimore, recorded in El Paso and fine-tuned songs on the road in front of live crowds. 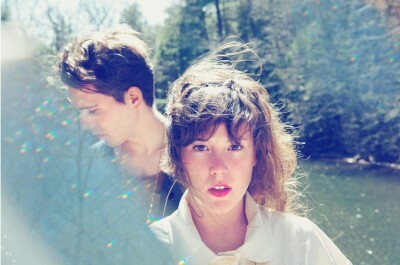 Their inspiration syncs with the musical endurance that characterizes their live performance. But instead of used cars or insurance, the noise between songs on Centipede Hz pitches sound loops, samples and extraterrestrial bleeps. 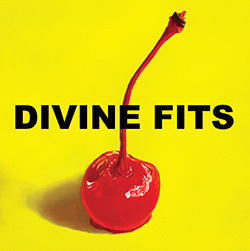 Two weeks before its physical release date, the album streamed on their internet radio show with visual accompaniments for each track. From its inspiration to its execution and transmission, the album is Animal Collective’s response to changing mediums of music reception. Avey Tare’s vocals and synthesizers tend to stretch and melt Animal Collective’s lyrics until it’s harder to tune in to them than it is to tune them out — but it’s worth a try. The album is a lyrical road-trip telling about hikes and car rides. “Applesauce” is about the fun times of farmers, kids, chefs and the mayors whom they feed. Centipede Hz indulges the band’s percussive side, with what sound like gourd cabasas, those shakers wearing beaded dresses, holding down the beat of almost every song.